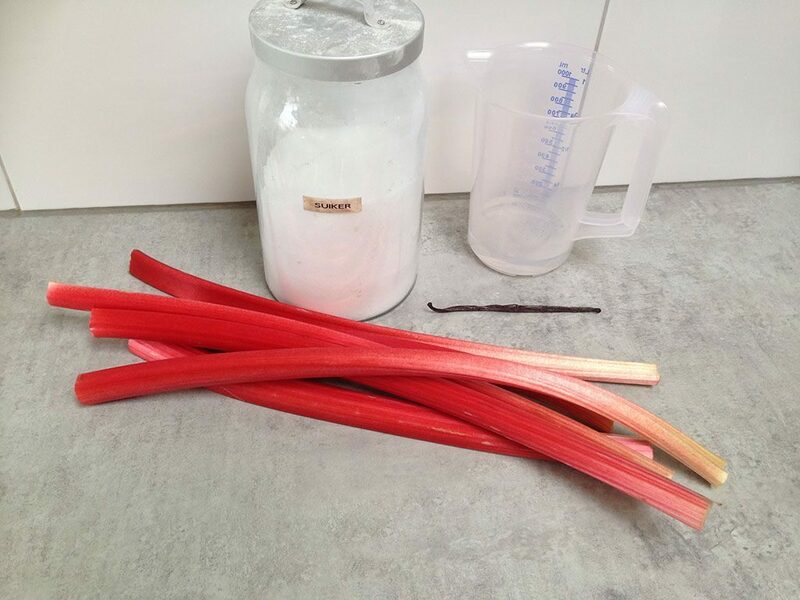 RINSE the rhubarb and remove both ends. CHOP the rhubarb into pieces and ADD them along with the sugar and water to the medium-sized pan. SPLIT the vanilla pod and ADD the pod and seeds to the pan. Let the rhubarb cook for a few minutes on medium heat. 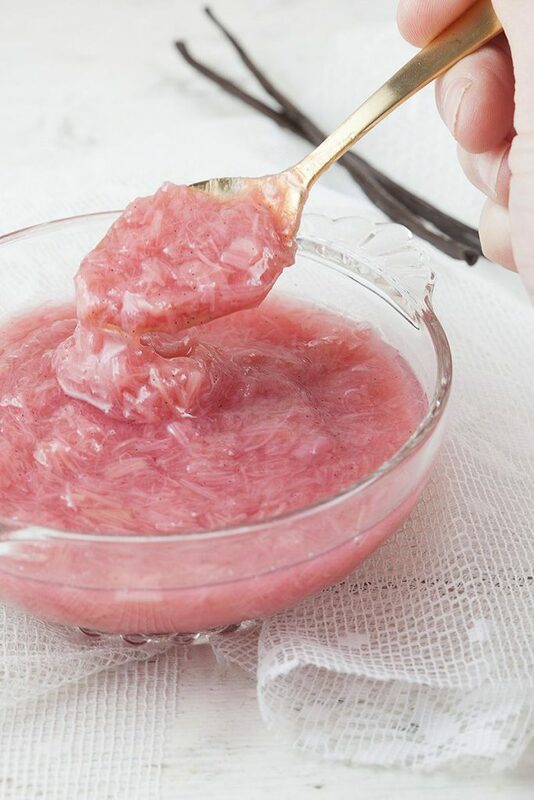 You’ll notice the rhubarb will fall apart after a few minutes. Let the compote cook a few minutes more until most of the moisture has evaporated. The water added was only to prevent the rhubarb from burning at the beginning. 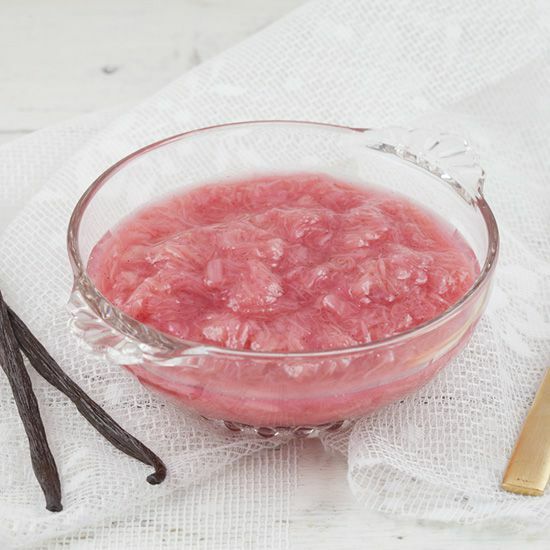 STIR the compote with a wooden spoon, if needed SEASON with some more sugar if the rhubarb turned out too sour. 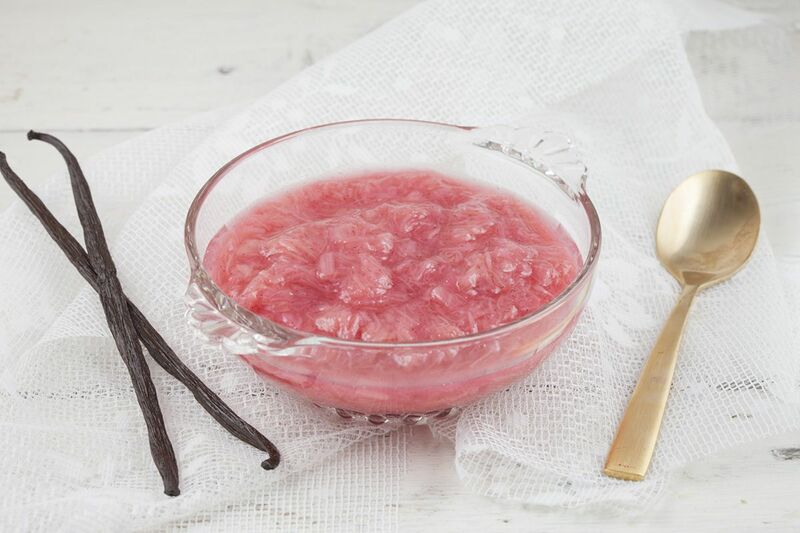 REMOVE the vanilla pod and serve this lovely compote added to a bowl of yogurt or as part of a dessert. Enjoy!